Performance Feeders specializes in the design and build of custom parts feeding, orienting and handling systems for the food products and food manufacturing industry. 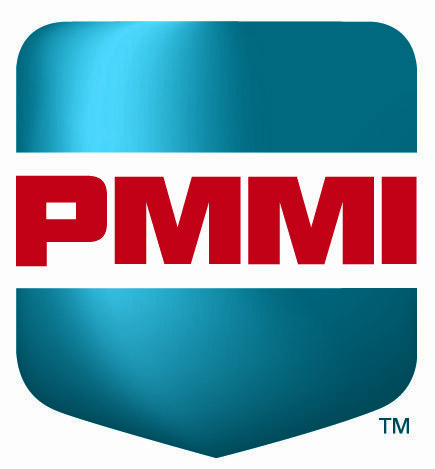 This system was designed for a food manufacturer who needed to move a whole-grain snack product to a packaging operation, which required the product to be delivered 10' off the floor. The manufacturer needed bulk product storage at floor level and a way to remove as much small and broken pieces of product as possible before moving into the packaging operation. Bulk storage was provided by a custom 12 cu. 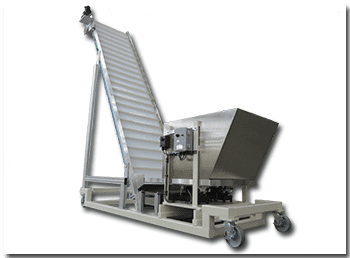 ft. polished stainless steel hopper with a 30" wide vibratory discharge tray and a 40" load height. The discharge tray was powered by two standard vibratory hopper drivers. 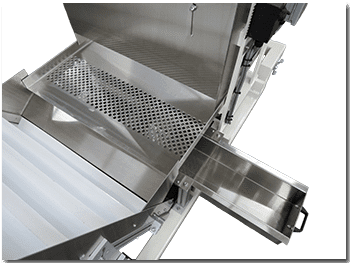 The discharge end of the vibratory tray was perforated to allow small and broken pieces of product to fall into a lower tray, which slid out for easy cleaning. The product was transferred from floor level to the 10' discharge height by an Auto-Kinetics belt conveyor with a cleated FDA belt, mounted on a 60° incline. 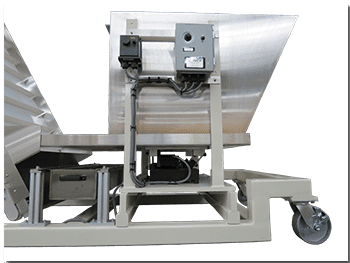 Conveyor belt speed: 9 – 32 feet per minute, variable speed. Auto-Kinetics Model 55 Heavy-Duty belt conveyor, 800mm wide x 149" long. FDA-approved belt with 40mm high cleats on 6" centers. Custom end drive module, 1/4 HP motor, 130V DC. Polished stainless steel side rails, entrance bin and exit chute. Extruded aluminum incline stands mounted to system frame. Custom polished stainless steel 12 cu. ft. bin. Powered by two vibratory hopper drivers. Polished stainless steel tray under perforated supply hopper discharge tray. Tray slides out of frame by hand for easy cleaning. Casters with FDA-approved wheels for portability. 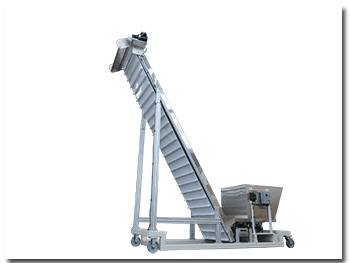 PF-1R for bulk storage hopper. PF-111 DCPM for incline belt conveyor.